Estate Planning . Susan Batson has been handling all phases of estate planning – from a simple will to complex estate plans – for over twenty-five years. “Estate Planning” describes the process by which an individual (or family) formalizes his or her desire to pass wealth (their estate) on to their spouse, their children, and anyone else to whom they would like to provide for at death. Mrs. Batson’s goal is to properly plan for the distribution of an individual’s property, taking into account all factors, such as wills, taxes, insurance, property, and trusts, to gain maximum benefits allowed by all applicable laws, while also carrying out the wishes of the individual. 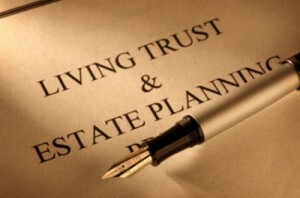 An appropriate estate plan could include wills, testamentary trusts, revocable inter vivos trusts, life insurance, and other tax and estate planning tools. Probate & Estate Administration. Susan Batson also takes cases in the area of probate and estate administration. Probate is the legal procedure by which a person’s debts are paid and assets are distributed upon their death. The law refers to the entity that “owns” the assets of the decease until distributed as the “estate.” Estate administration includes both the probate process and the non-probate transfers of the deceased’s assets. This process generally includes the collection and valuation of the assets of the decedent, the liquidation of those assets, the payment of required taxes and liabilities, and the ultimate distribution of property to the heirs. Florida state laws direct the probate court as to how to distribute the deceased’s estate. Mrs. Batson accepts Florida cases, and may assist with cases in other jurisdictions depending upon the circumstances of the matter. Susan is Board Certified in the areas of Wills, Trusts & Estates by the Florida Bar Board of Legal Specialization and Education.